Shhh… Your presence is requested for the evening of January 25that 7 to 10 p.m. for a clandestine gathering of thrill-seekers like yourself. Join us in a top-secret location (to be revealed via text the day of the event). Be prepared for an evening full of secrets, luxury, and surprises. Once you have reached your destination, partake in poker, a wine raffle, photo booth, and more. The night will be full of luxurious raffle items from local businesses including twelve different wines. You will even have a chance to win our grand prize, a ONE-HOUR round-trip helicopter ride to the Buffalo Jump Saloon and Steakhouse. – Dress in formal attire, preferably the colors of red, black, or white. BHSU Newman Center email newmanbhsu@gmail.com. – Bring cash. Donations appreciated. – Await your destination text and arrive in style. and opportunities for young professionals of Spearfish. Join us for this top-secret evening. Establish relationships, Empower each other, and Engage in the community. It is a great relaxed event to come to after work-get some food, have a drink, and have some casual conversation. Tonight’s YPG was hosted by BH Pioneer. ☝?Honestly, I had no idea all of the different things they do at this local newspaper! Seriously— baffled! ?It was an eye-opener for me listening to the owners and a few staff talk with us young professionals. ? We are so caught up in “shop local”, “eat local”, “support local”… Why not “read local”? The whole group of people was so friendly and welcoming to us new people. Interested in talking to a real human? 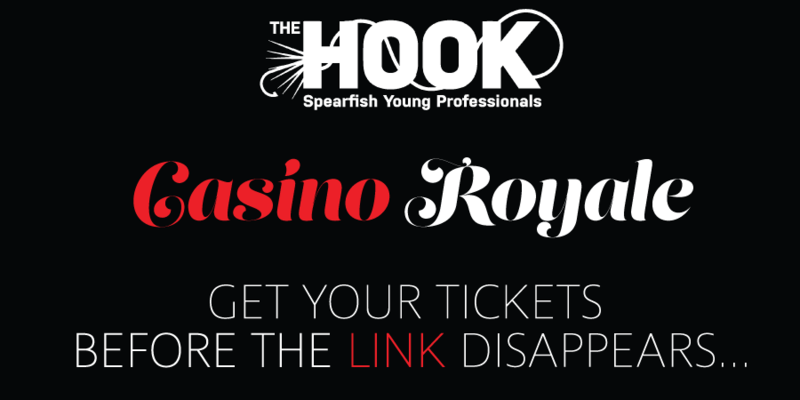 Inquire below for more information about The Hook or in our sponsorship options.